Revel in your style and make heads turn! 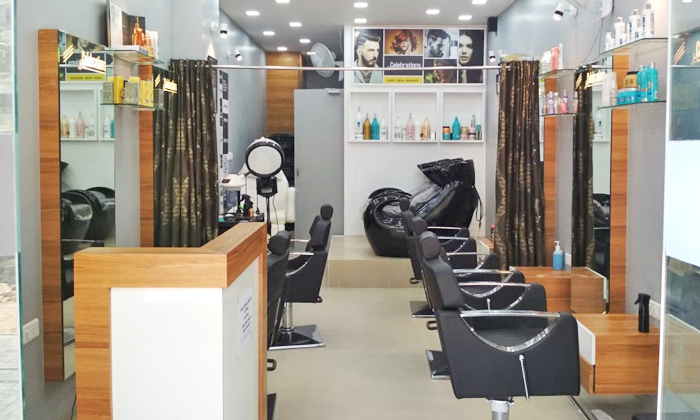 Located in Acher, Ahmedabad, Celebrations The Women Salon serves only women and they offer a variety of services like stylish haircuts, hair care solutions, skin care services, personalized head to toe packages & more. The staff is experienced and knowledgeable about the trending styles, they’ll make sure the customer has chosen the accurate service. The ambiance is chic and aesthetically pleasing.